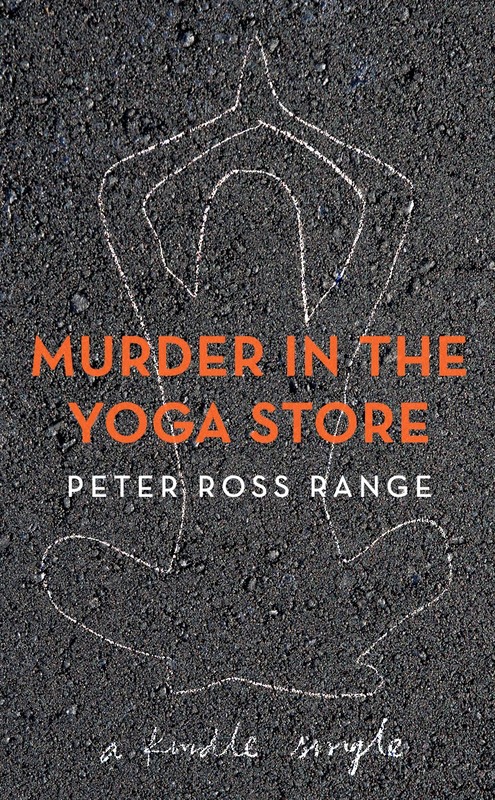 Peter Ross Range is the author of Murder in the Yoga Store, which examines the murder that took place March 11, 2011, in a Lululemon store in Bethesda, Md., and its aftermath. 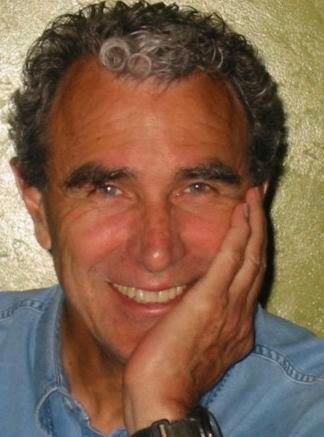 A magazine writer based in Washington, D.C., Range has written for a variety of publications, including U.S. News & World Report and Time. Q: Why did you decide to write about this case? A: It was very powerful and compelling, and I was drawn to it. Partly because I was standing in front of Lululemon that morning as the police began investigating. Bethesda Row is my hangout—Barnes and Noble, the eating places, the Bethesda Row cinema. The more I learned about Jayna, she could have been my daughter; her father and I are close to the same age. And there’s the incredible aspect of two women, one woman murdering another woman, it’s so rare. Both were upper middle class, well-educated, ending up in a horrible [situation]. Q: You describe the events surrounding the murder and trial in great detail. What kind of research did you do to get those details? A: I started by going to courthouses, in Rockville and Annapolis, and digging through everything, and at the same time reaching out for interviews. I was doing archival research. I got a recording of the trial, and listened to it for two weeks. It took months to get a transcript. I was gathering names—I did 50 interviews. The most important were her [Jayna Murray’s] family. I had to dig around to make contact. I went down to Texas and spent four days talking to them. The family of Brittany Norwood [the murderer] wouldn’t cooperate in the least, nor would their lawyer. I spoke to one of her sisters, one aunt, and her father, on the telephone, and they all turned me down. I wrote to Brittany Norwood and to her lawyer, and got no response. Q: Yes, many of the people you interviewed had close ties to Jayna Murray. How have they reacted to the book? A: I haven’t heard from most of them. Those I have reacted positively. It’s like nobody had the full picture. Nobody had talked to everybody, like I had—the police, reading the transcript. They [her friends and family] were all caught up in their own grief; that’s what guided their conversation. They appreciated seeing the whole thing put together. A: The biggest thing was that before the murder occurred, Brittany Norwood was already under suspicion of stealing. The leadership team [at the Lululemon store] of six people knew, and had decided she almost certainly was the person taking stuff; [they had decided] to watch her. They even had a meeting two days before the murder on how to catch her. The idea of a secret nannycam was mentioned. On the day of the murder, they were joking about it. [Staff member] Courtney Kelly was joking about what the shift would be like [working] with the thief. Courtney and Jayna had plans to meet after work, and Courtney had to cancel—her last text [to Jayna] was, “Hope you survived.” It sent a chill [when I heard that]. Q: You write, “Unsatisfying as it is, the lingering question surrounding the Lululemon store murder will remain: “Why?” Do you think we will ever know why this awful crime happened? A: I’ve asked myself that many times, and I don’t know the answer. As a writer, I’m hoping Brittany Norwood will talk someday, and that she talks to me, or to somebody. Even if she talks, there’s a problem believing her—she’s an accomplished liar and a sick person. I think of her [as similar to] the guy in Howard County [Darion Marcus Aguilar, the Columbia Mall shooter] and the story in the [Washington] Post—the description of him as a psychopath with no empathy or sympathy. Q: Are you continuing to follow up on this story? A: In the sense that I wrote Brittany and encouraged her to talk to me. I sent her the book, but it was sent back. I talked to the prison and was told that they don’t allow inmates to have books about themselves or anybody in the prison. I asked why, and they said they don’t want to stir up trouble among the inmates. A: I’m researching a topic involving Germany in the 1920s—Hitler’s year in prison, the year he wrote Mein Kampf. Nobody’s ever done a book just on that year—1924. The working title is "The Year That Made Hitler." A: There’s a million and one details [in Murder in the Yoga Store]. As I told Bethesda Magazine, it was a very emotional experience. I didn’t expect that; sometimes when they [the interviewees] were breaking down, it was hard for me to keep a dry eye. If you watch the Youtube video that I mention in the book, you’ll get a sense of who Jayna Murray was. --Interview with Deborah Kalb. Peter Ross Range will be participating in the Bethesda Literary Festival, which runs from April 11-13, 2014. For a complete schedule, please click here.